NEw CHapter: Exchanging good practices against hate speech! How to favor human rights among young people? How to face hate speech and promote critical thinking? 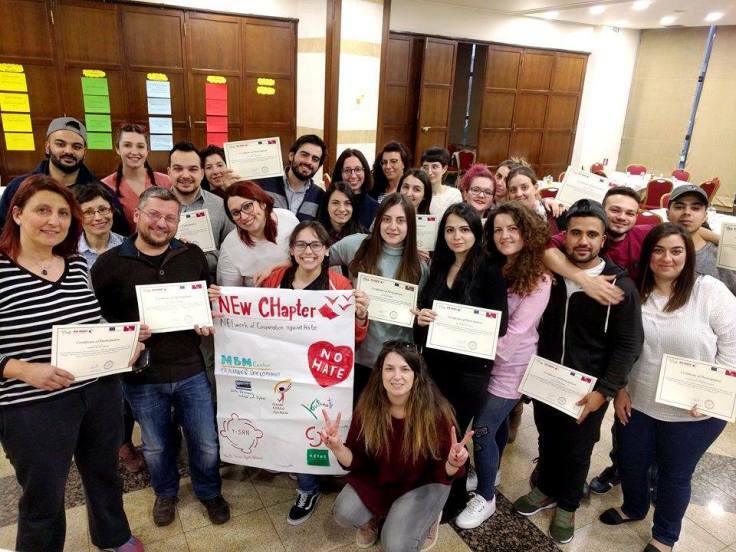 From 16th to 22nd February 2018 the NEw CHapter project staff training took place in Larissa (Greece). 28 participants among youth workers, teachers, members of organizations from Greece, Italy, UK and Denmark attended the training. to plan and organize follow-up activities. creative and critical thinking and human rights education methodology. Thanks to the active involvement of the participants, the training was an opportunity for us to widely exchange experiences and organizations realities, which contributed to enriching the meetings of challenges, ideas, different points of view on the issue. promote intercultural dialogue and acceptance of diversity to prevent racism and intolerance among young people. Centro per lo Sviluppo Creativo Danilo Dolci (Italy). For further information, please contact Irene Ippolito, irene.ippolito@danilodolci.org.